FALLS CHURCH, Va. – Nov. 28, 2016 – Northrop Grumman Corporation (NYSE: NOC) announced today that it has priced a $750 million underwritten public offering of 3.20% senior unsecured notes due Feb. 1, 2027. 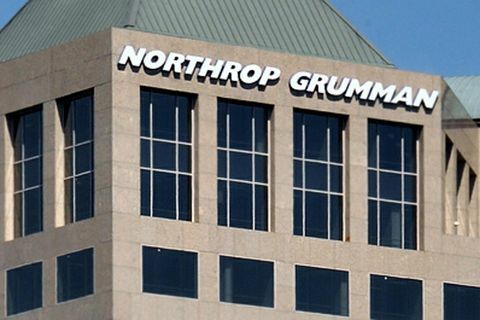 Northrop Grumman expects to use the net proceeds from the offering for general corporate purposes, including debt repayment, pension plan funding and working capital. The offering is expected to close on Dec. 1, 2016, subject to customary closing conditions. When available, copies of the prospectus supplement and the accompanying base prospectus related to the offering may be obtained by calling Goldman, Sachs & Co. at (866) 471-2526 and J.P. Morgan Securities LLC collect at (212) 834-4533. A copy of these documents may also be obtained by visiting EDGAR on the Securities and Exchange Commission website at www.sec.gov. Northrop Grumman Corporation also announced that its wholly owned subsidiary, Northrop Grumman Systems Corporation, will redeem for cash all of its outstanding 6.75% Senior Notes due April 2018 (“the Notes”) on Dec. 28, 2016. The Notes will be redeemed at a “make-whole” premium price, calculated in accordance with the Notes and the indenture and supplemental indentures governing the Notes (the “Make-Whole Redemption”). Northrop Grumman currently expects the Make-Whole Redemption to result in a pre-tax charge of approximately $15 million in the fourth quarter of 2016, which is contemplated in the company’s 2016 financial guidance. As of the date of this press release, $200 million aggregate principal amount of the Notes were outstanding. This press release shall not constitute an offer to sell or the solicitation of an offer to buy the securities described herein, nor shall there be any sale of these securities in any state or jurisdiction in which such offer, solicitation or sale would be unlawful prior to the registration or qualification under the securities laws of any such jurisdiction. The securities are being offered pursuant to an effective shelf registration statement previously filed with the Securities and Exchange Commission, and a prospectus supplement and accompanying prospectus filed with the Securities and Exchange Commission as part of the shelf registration statement. Note: Statements in this press release, other than statements of historical fact, constitute “forward-looking statements” within the meaning of the Private Securities Litigation Reform Act of 1995. Words such as “expect,” “intend,” “may,” “could,” “plan,” “project,” “forecast,” “believe,” “estimate,” “guidance,” “outlook,” “anticipate,” “trends,” “goals” and similar expressions generally identify these forward-looking statements. Forward-looking statements include, among other things, statements relating to our future financial condition, results of operations and cash flows. Forward-looking statements are based upon assumptions, expectations, plans and projections that we believe to be reasonable when made, but which may change over time. These statements are not guarantees of future performance and inherently involve a wide range of risks and uncertainties that are difficult to predict. Specific risks that could cause actual results to differ materially from those expressed or implied in these forward-looking statements include, but are not limited to, those identified and discussed more fully in the section entitled “Risk Factors” in our 2015 Annual Report on Form 10-K.